The Vietnamese goodwill ambassador for cherry blossom must have a passion for enhancing the Vietnam-Japan friendship as well as knowledge of and interest in Japan and N4-level Japanese speaking ability. Unmarried Vietnamese women who are above 18 years old and live in Hanoi are eligible to apply for the selection, which will last from January till March 2019. The winner will be introduced to the public at the opening ceremony of the festival, scheduled to take place on March 29 evening. The festival features many cultural exchanges, including a display of Japanese cherry blossoms and some special Vietnamese flowers. There will also be investment and tourism promotion conferences, and exchange programmes on education and health care. 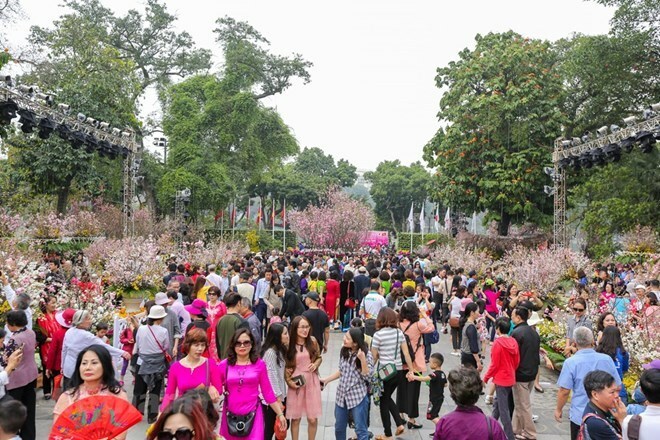 Jointly held by the Hanoi People’s Committee and the Japanese Embassy in Vietnam, the festival aims to promote the images of the country, culture and people of Japan, and bring Vietnamese and Japanese people closer.